The causes of the French Revolution are myriad and included financial hardship exacerbated by debts incurred in the proxy war that the country had just finished waging with England via the matter of the United States of America’s push for independence but one important juncture that may have precipitated protests and unrest across the kingdom occurred on this date back in 1788 in the south-eastern city of Grenoble. Despite poor harvests, taxes were collected a-pace with additional ones levied, and the regional appellate courts (called Parlements) that had jurisdiction over tax regimes were suspended. 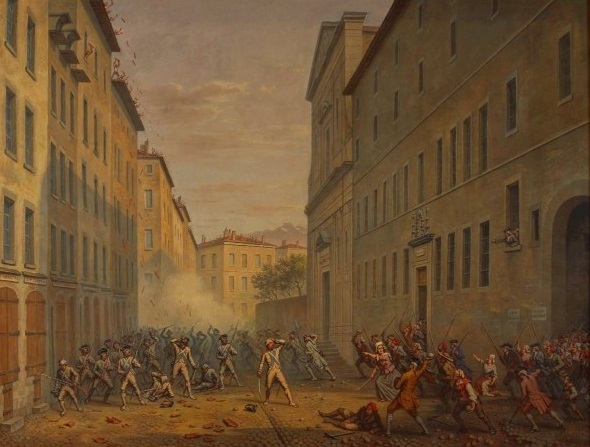 Referred to as the Day of the Tiles for rioters resorting to showering soldiers with roof shingles, merchants closed their shops up early on Saturday morning, market day, when they saw groups of rioters gather who proceeded to seize local officials as they attempted to flee the city and took control of the cathedral. In response, the royal navy was sent into quell the protests but matters quickly escalated. 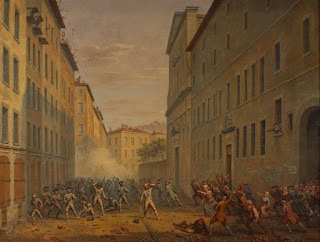 The riots subsided after four days and led to the reinstatement of the court’s authority and the right to refuse payments on levies not approved by that body, but problems with France and the relation of the monarchy to the people was fraught with systemic irreconcilable complications and the revolution fomented the following year.